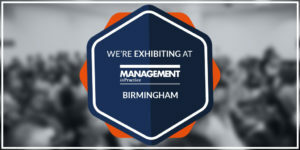 Returning to Birmingham on 4th December 2018, Management in Practice is the must-attend event for all those involved in General Practice business. Join expert speakers from across the practice management industry plus hundreds of your peers and colleagues for an informative day of networking, knowledge sharing and problem solving. Visit Charlotte and the team for more information and live demonstrations on digital dictation and speech recognition!